Big American brokerage house Morgan Stanley told clients on Tuesday that Apple could triple its market share in China by launching a low priced Apple iPhone mini in the country. The analysts at Morgan Stanley see the device priced at $330, and while tripling market share is great in any country, it is even more so in China which is the world's largest smartphone market. Analyst Katy Huberty says that prices are stabilizing in the country, giving Apple a chance to cut prices, grow market share, and make more money. The world's largest carrier, China Mobile, has never carried the Apple iPhone because of the mobile operator's proprietary 3G network. 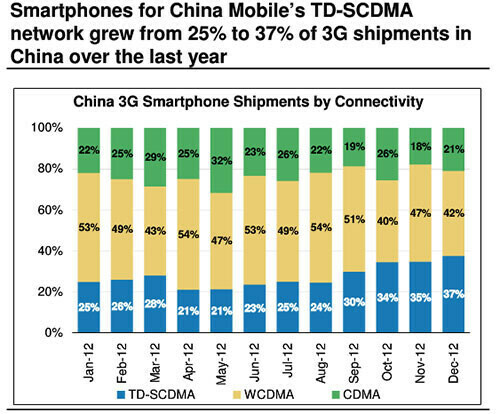 But Huberty sees Apple able to work out a deal to sell the Apple iPhone mini for China Mobile's TD-SCDMA network and that would add another 20% of the Chinese smartphone market to the 10% that the Apple iPhone 5 already owns. 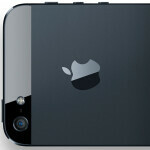 Will an Apple iPhone mini take too much business away from the Apple iPhone 5? Even though the Apple iPhone isn't officially running over China Mobile's pipeline, 15 million unlocked units are running at 2G speed over the network belonging to the world's largest carrier. But while those phones aren't giving the crew in Cupertino much to smile about, Huberty says that pricing the Apple iPhone mini at $330 would allow Apple to be competitive with Chinese upstarts like ZTE, Huawei, Lenovo and Coolpad. Even assuming low 40% gross margins and a 1/3 iPhone cannibalization rate, an Apple iPhone mini makes money for Apple. For example, if the iPad mini were to launch in China this year, Apple's gross profit margin would drop 2 percentage points to 49%, but the additional volume would raise gross profits by an additional $2.4 billion. What would be required to get this going would be the launch of a lower priced Apple iPhone mini, passing legislation to allow mobile numbers to be ported over between carriers in China, and a deal between China Mobile and Apple that allows the iPhone to be used on the operator's proprietary network. Both Apple and China Mobile have tried since 2009 to work out a deal, with the last such meeting taking place last month when Tim Cook visited the CEO of the carrier. Long time Apple executives are not used to cutting prices and making up the difference on volume. But a low priced iPhone could take Apple in a new direction and not just in China. If Apple sees that it is able to make up for the lower profit margin by selling more product, it could be one of those light bulb turned on moments that could give Apple a second wind and make it a dangerous competitor once again. hmm. 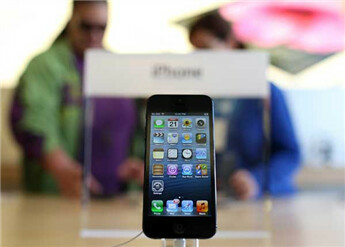 The iPhone 5 has already gained prominence as a high-end smartphone. Why would people want a cheap(materials) and low-end version? Price, yes, but status is crucial in parts of the world like China. It will probably be looked down. The iPhone is already a mini compared to other flagship devices. Maybe it should be called iPhone nano instead. It seems to me that Morgan Stanley got LOOTTTTTTTSSSSSS of Apple share @$700. 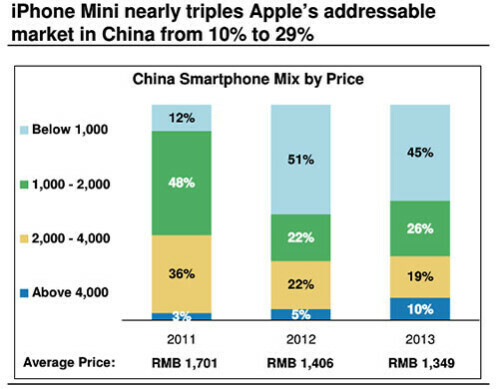 The real hidden message behind morgan stanley "apple mini blablabla were" --> APPLE, PLEASE.... please.... sell cheap iphone in China. We (morgan stanley) need the share above US$ 700 again. Otherwise, we're screwed". It's not apple user, it's not apple who want cheap iphone. it was someone who were trapped by lower apple share price. The problem for iphone in China and South East Asia is NOT about the price. But it's about Credit card. Apple iTunes require Credit Card..... Android Play Store not require Credit Card. Who would want the mini version of a mini phone in today's world of monster 1080p screens? The iPhone mini if it ever comes out will probably cost as much as aging Android flagships.. But with mid-range hardware from 2 years ago.